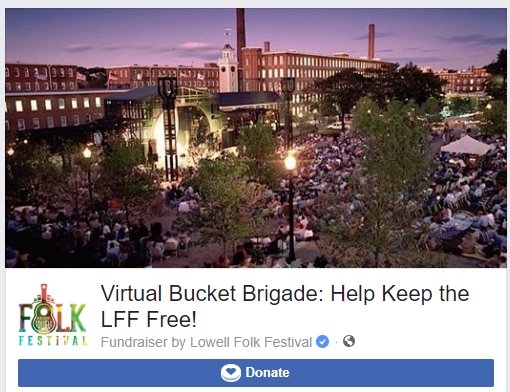 The Lowell Folk Festival continues to provide the finest in traditional music, craft, foodways and more in downtown Lowell. This annual celebration is the best in traditional folk music, artisan crafts and ethnic foods, and will be returning to downtown Lowell with a full lineup beginning with the traditional parade of nations from Lowell’s City Hall Plaza to Boarding House Park. The free festival offers something for people of all ages all within the heart of Lowell National Historical Park. Continue reading here. We have been busy planning this year’s festival – check back often for updates and performer announcements in this year’s festival. 31st Annual Folk Festival – Volunteers Needed! Volunteer at the 2016 Folk Festival !